This morning I was looking around at the unfinished projects in my sewing room, trying to figure out what to work on next. 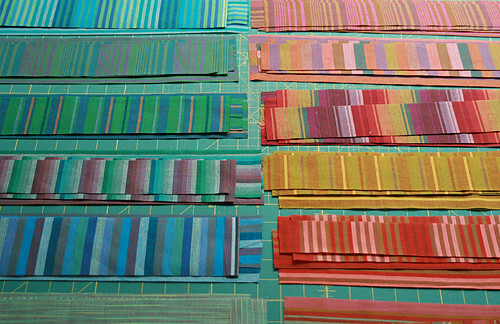 Then my eyes settled on the Kaffe Fassett stripes I bought at the quilt show in Cincinnati and I thought, why not start something new? :) They are really so beautiful, it's amazing I haven't cut into them until now. I thought I would share my process for making the above block. It is improvisational and hopefully you will find it quite simple to make. 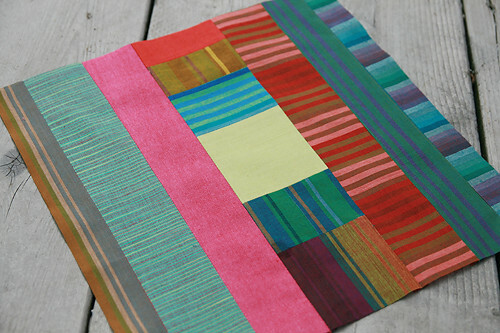 I am using fat quarters for this project, but really this would work using strips of scraps as well. Just make sure your scrap strips are at least 12.5" long. Step 1. 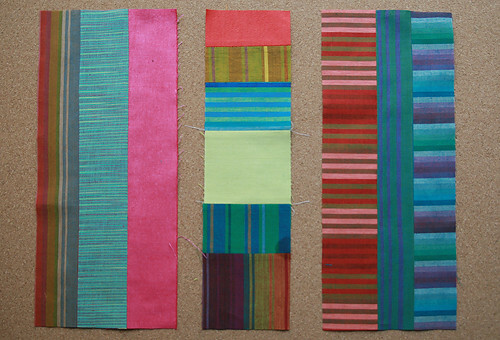 Select your fabric and cut it into strips of random widths. 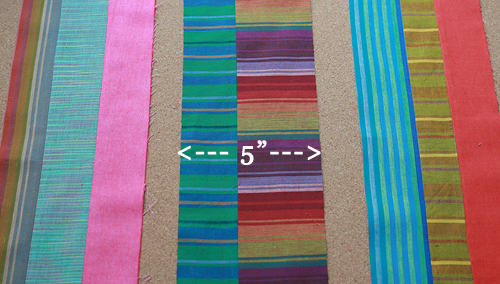 I cut 2" to 3.5" stripes. Step 2. 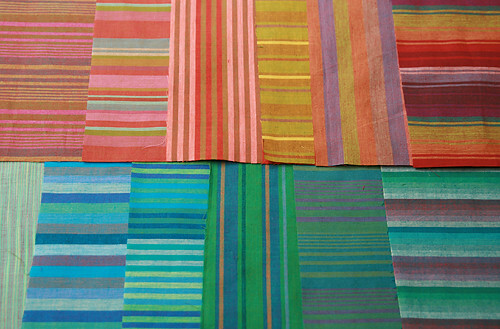 Randomly sew 2 to 3 strips together lengthwise. The resulting rectangles should be at least 5" wide. Step 3. Cut a 3.5" x 3.5" square for the center of your block. Select 4 strips from Step 2. 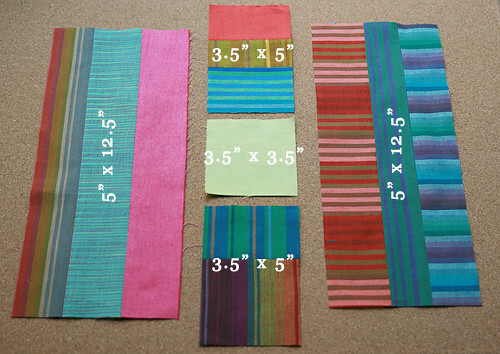 From these strips, cut 2 pieces 3.5" x 5" and 2 pieces 5" x 12.5". Step 4. Sew the 3.5" x 5" rectangles to the top and bottom of the center square. Step 5. 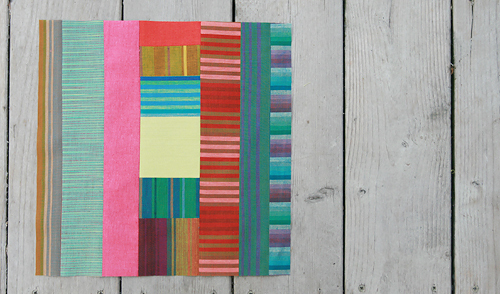 Sew the 5" x 12.5" rectangles to the left and right of the block.